IS TOUCH SENSITIVITY KEEPING YOU HOME? Linden Family Chiropractic and Rehab offers chiropractic Activator treatments. A chiropractic Activator is a low-pressure tool that relies on speed instead of force. It’s 100 times faster than manual adjustments, which means more speed and less force needed for the adjustment. This makes it ideal for babies, pregnant women, and the elderly. It’s also an excellent alternative for patients experiencing acute pain, or those who experience anxiety at the chiropractor’s office. If you’re interested in using an Activator for chiropractic adjustments, call our Dubuque, IA office today. 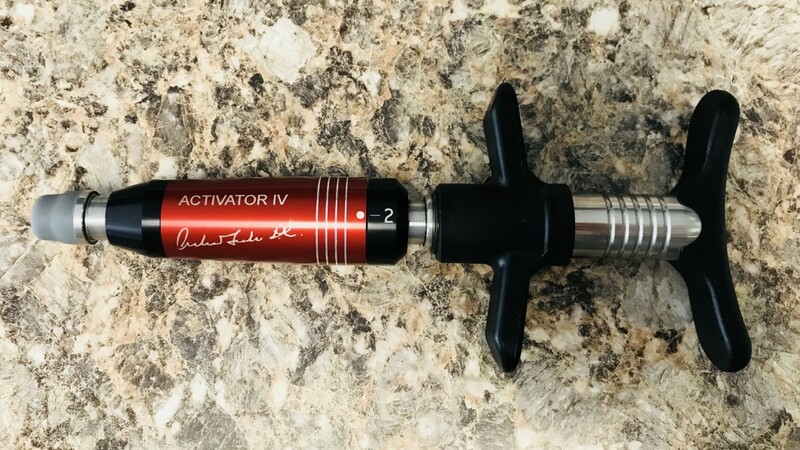 How does a chiropractic using an Activator work? We offer a wide range of chiropractic Activator treatments in Dubuque, Iowa. Call 563-542-9959 now to schedule an appointment. "Adam is a great dude, intelligent, caring, and pays attention to your needs. He helped me out with horrible headaches I was having and the thought never even crossed my mind to visit a chiropractor. Needless to say. He fixed my headaches and found a couple other twists and kinks in me. Left there feeling like a new man. I’ll definitely be back again."